If you are like me you did not always like to shave. It can be such a pain, literally. Unfortunately, sometimes when you need to look professional you have to clean up your face. Or other body parts for other reasons I suppose. My main motivation for shaving, though, began because my wife likes me to have smooth and soft skin. After a while I realized that I enjoy having that baby soft skin. Not just because of some of the benefits it brings from grooming to my wife’s liking. If you want to have the skin your wife will appreciate and preserve it for the long haul like me, it is essential to use the right soap, as you know. This recipe, my wife taught me, works really well and you will get the results you are looking for. 1/3 cup virgin coconut oil – natural anti-aging, promotes smooth skin and locks in moisture. 1/3 cup shea butter – helps soften the hair and take the pain out of the process is just one benefit. 2 tablespoons sweet almond oil – helps to dissolve sebum for healthy pores. 2 tablespoons liquid castile soap – a natural soap (non-detergent) made from oils instead of animal fats. Natural and biodegradable. A true “green” soap. Step 1: Melt the coconut oil and shea butter in a small sauce pan on low heat. Stir frequently until completely melted. Step 2: Slowly add the sweet almond oil and stir until completely blended. Remove from heat. Step 3: Carefully transfer your oil/butter mixtures to a mason jar or medium glass bowl. Place your bowl or jar in the fridge until the mixture hardens. Step 4: Remove from the fridge. If your mixture is in a jar you’ll want to transfer it into bowl for mixing. Using hand mixer, whip the mixture while scraping down the sides frequently. Your mixture will become fluffy after about 4 minutes of whipping. Step 5: Add the castile soap last and continue to whip until everything is combined nicely. Step 6: Fill a mason jar with a lid or any other airtight container to store the shaving cream. Do try to keep it in a cool, dry place to maximize the shelf life. Step 7: Choose your favorite razor that gives you the closest and most pain free shave. The pre-shave prep is also something to consider if you’re dealing with stubborn skin. A few simple steps before you shave and you’ll easily achieve the look and feel you want. Plus, this prep will also help maintain the health of your skin and preserve it for the long haul. Drink lots of water! Being well hydrated will help keep your body and skin hydrated. It’s also a good idea to keep your diet full of vitamins and minerals since they will further promote healthy skin and soft hair that allows for an easier shave. Both of which will make your shave painless. Exfoliate, exfoliate, exfoliate! Do it to keep your pores clean, skin soft, and help you get a closer shave. Be kind to your skin and avoid being too rough when washing – be cautious when using abrasive washcloths and harsh cleansers as both can damage healthy skin. Do you skin a favor and shave at the end of your shower. Your pores will open up while you’re taking care of business, which will enable your soap to clean deeper and your razor to get a closer shave. 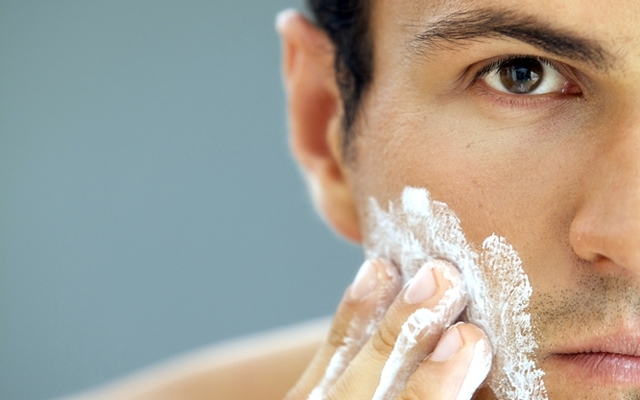 Your after-shave care routine is just as important as your pre-shave prep! Don’t skip this step, your skin will thank you later. If you’re prone to getting itchy, red skin after shaving, apply a gentle balm or salve to the area showing early signs of irritation. Using some witch hazel on a cotton pad works wonders too if you don’t have anything special on hand. Lather on a gentle moisturizer that is perfume and chemical free if you need an extra bit of moisturizer. Feel free to substitute store bought lotions with some coconut oil as well. To treat razor bumps after shaving use aloe or tea tree oil. It’s also a good idea to give your skin a break between shaves if your skin gets too irritated.